This is a five weeks hand building pottery class suitable for anyone fairly new to pottery who wishes to develop their skills in clay. This is a five weeks pottery class suitable for anyone fairly new to pottery and wishes to develop their skills in clay. 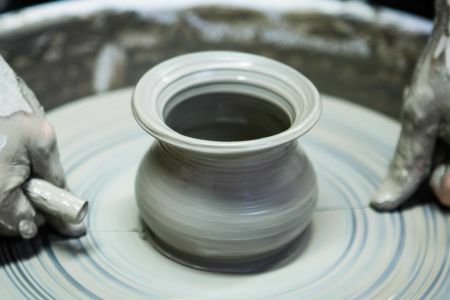 A variety of hand built techniques will be covered including throwing on the pottery wheel. Decorating and glazing your artwork are also explored in a way that encourages you to develop your creativity. 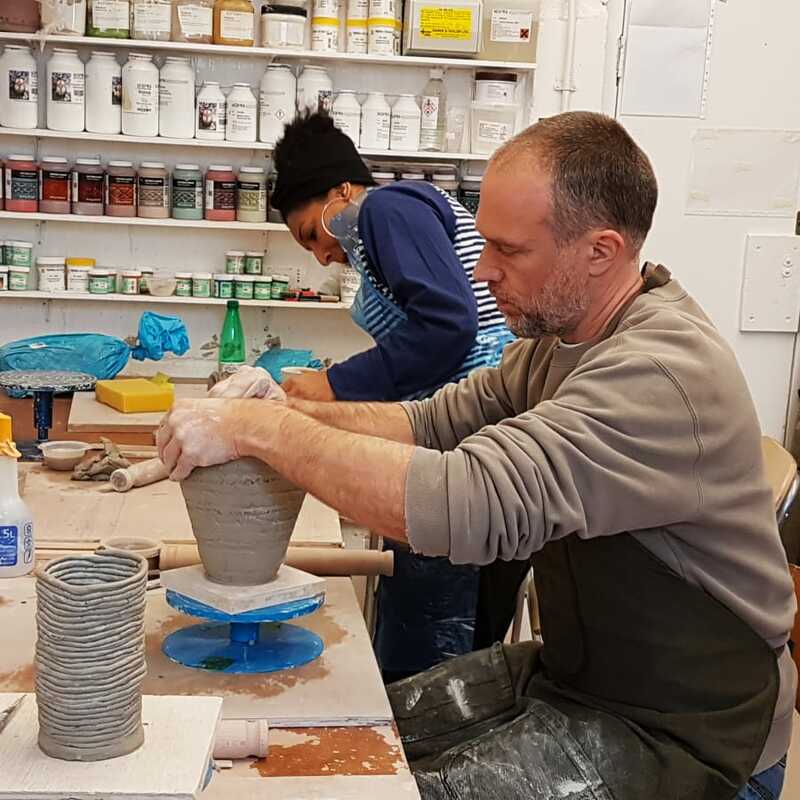 Complete beginners are welcome, but we strongly recommend that you take the One Day Pottery Workshop before attending any of our classes..
You are going to use a plastic, smooth Pale Buff stoneware clay. This clay body recipe is a blend of selected low iron clays providing an ideal background for a decorative approach to stoneware ceramics. Silica sand makes it excellent for throwing on the pottery wheel too. This clay firing range is 1120°C - 1280°C. 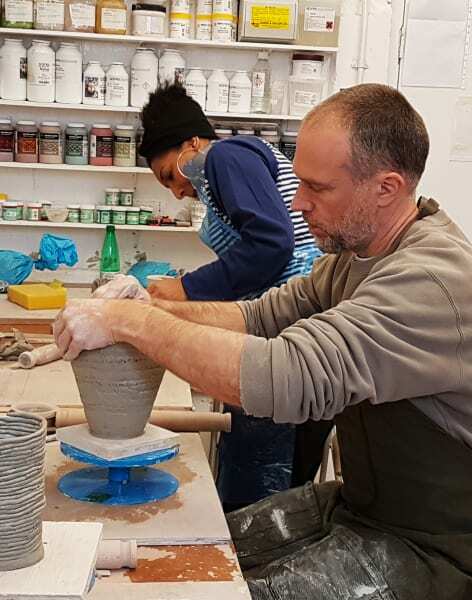 Ceramics Sculpture Studio is an intimate, creative space that is accessible to anyone who shares a passion for clay and ceramics, from total beginners to professional artists. 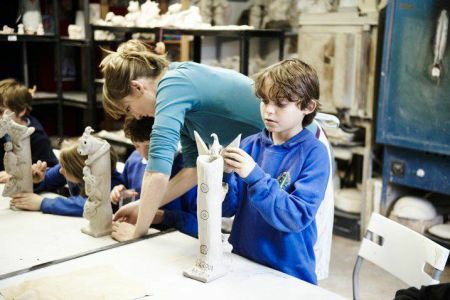 Their classes and workshops are a creative journey through the medium of clay, covering techniques from hand building, throwing on a pottery wheel to glazing and firing. 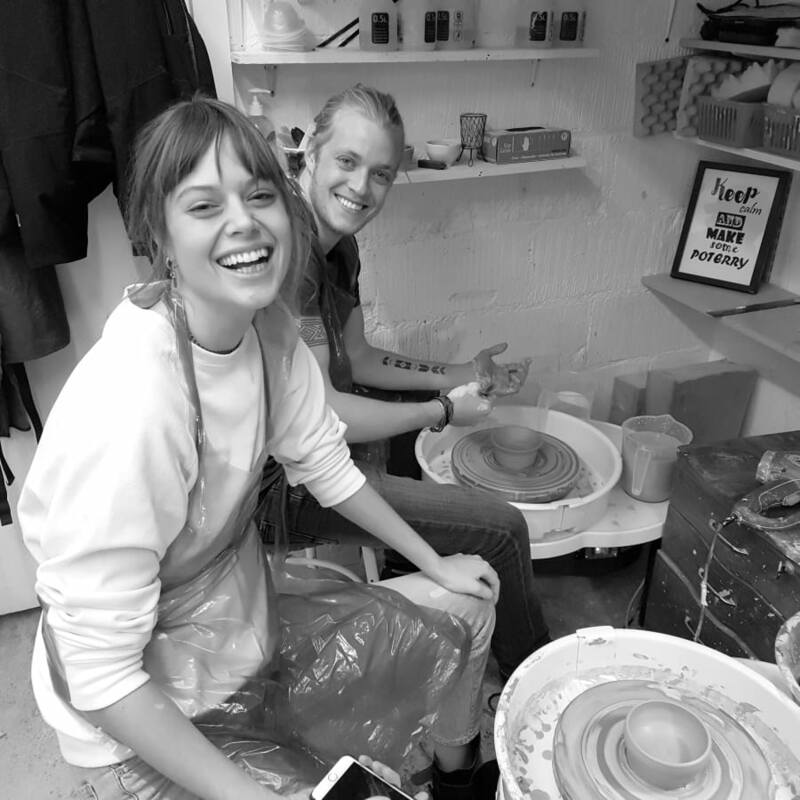 Their mission is to create beautiful ceramic artwork and to cultivate a great sense of well-being and personal growth. 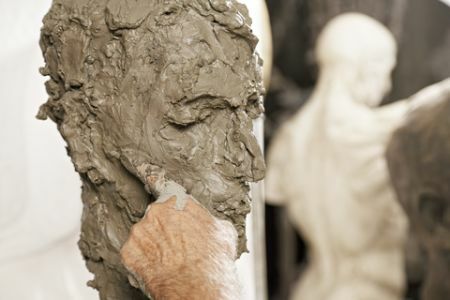 And of course, one of the best rewards of practising with clay is that it’s just plain fun. 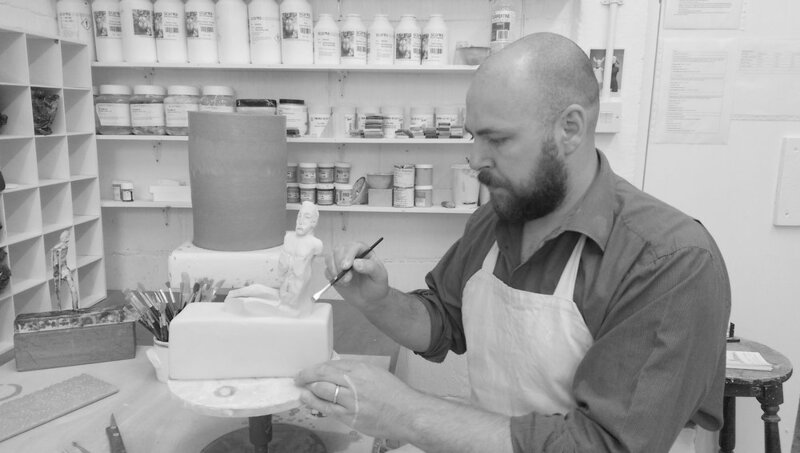 The studio is located in the heart of West Hampstead, in a beautiful Victorian Warehouse under the patronage of Kingsgate Workshops Trust. Clay, glazes, and firings are included. The class is small so your teacher is able to offer you full support and access to the studio facilities. Classes must be booked in advance; each class is run in a group of maximum 4 people.